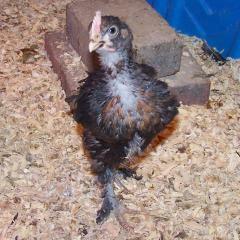 This is Lucky, he is my first Marans of the many I will be trying to get to Standard. 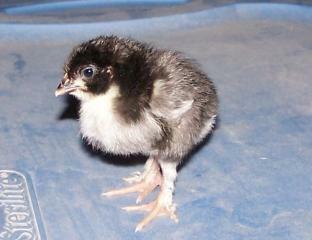 He was hatched on 11/13/09. 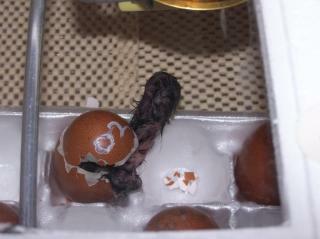 Lucky was the only one to hatch. 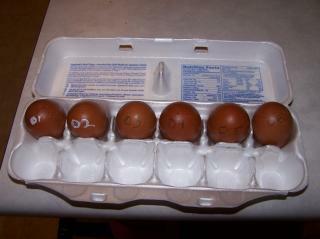 This is the group of eggs he came from. His egg is #2. Heres how I know. Here he is 3 days old here.